People share so many details of their daily lives on various social networking websites, but there are certain things they should avoid discussing in these forums. In an advisory to residents, Dubai Police has urged to not use the online medium to discuss personal details or those related to one’s job, as this may backfire. It’s best if you avoid titbits of your workplace or any other personal information when it comes to your job or the company you are employed with. They may not necessarily be aware of who all can have access to the information we share on our different social media accounts. According to Dubai Police, one cannot be sure about who we’re interacting with on social media. 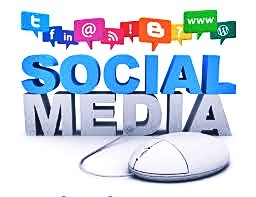 “Do not use social networking sites to discuss confidential information about your life or your job. You cannot assert whom you deal with,” . Residents should be aware of the dangers of sharing too much personal and company information online. Sharing information of a company, that may seem harmless, can lead to lost data, losing one’s competitive advantage, identity, company intellectual property, and much more. Dubai Police runs regular campaigns to warn residents about the dangers of sharing too much information online, or abusing social media privileges. In December 2015, Dubai Police warned public against abusing social networks and said some such offences pose a security threat to the country. “Some people are publishing pictures about people and where they live or work… this is posing a security threat in the emirate,” said Major-General Khalil Al Mansoori, Assistant Police Commander-in-Chief for criminal investigation. The senior police officer said authorities have detected many offences on social media, including of students insulting their teachers or friends and couples posting insulting words or images following marital problems. “We ask public to stop abusing social networks whether on official or personal pages…these practises are not acceptable. Publishing photographs about some people or their houses could also help criminals carry out robberies or other crimes,” he said. On an individual level, giving out details or badmouthing your boss or your company can lead you into serious troubles and can get your fired. According to a study by Kaspersky Lab, more than a third of UAE residents (35 per cent) share confidential data by accident and 18 per cent in the country willingly disclose secrets about themselves – despite the fact that information shared online can cost them a relationship or a job. According to data, half of UAE residents share photos of themselves, 46 per cent share their contact details, 39 per cent share a photo of another person, 36 per cent share sensitive personal details and 29 per cent share work-related data online. Further, and potentially even more seriously, 18 per cent of UAE respondents have shared a secret about themselves and 9 per cent have shared sensitive financial details. This is despite the increasing number of campaigns being run by authorities to educate and warn residents against the damaging impact of such information being made public – both in terms of financial loss and emotional distress. Almost half of UAE residents (45 per cent) were worried that leaked details could damage relationships or embarrass or offend someone and 16 per cent were afraid that it could harm their career.